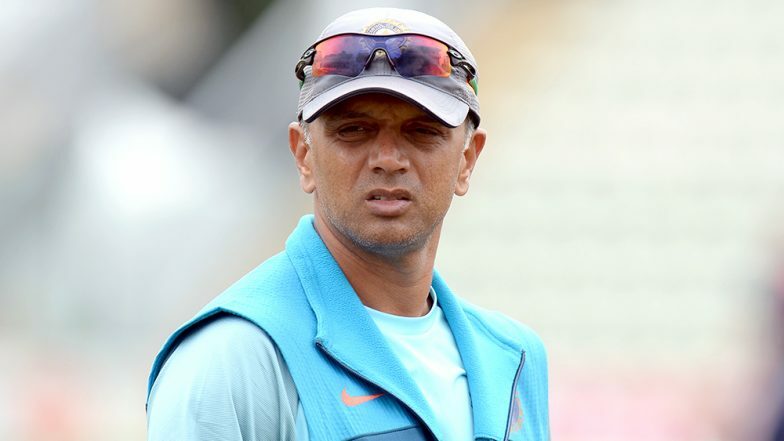 Bengaluru, April 14: Former Indian Cricket captain Rahul Dravid will not be able to cast his vote in the Lok Sabha elections 2019 which are scheduled to take place in Bengaluru on April 18. Dravid was also the Karnataka election icon during the 2018 Assembly elections. The former Indian cricket captain’s name has been deleted from the electorate list. Karnataka Lok Sabha Elections 2019 Schedule: Constituency Wise Dates Of Voting And Results For Karnataka General Elections. The confusion erupted when last year Dravid’s brother Vijay submitted Form 7 (for deletion of names from the list) to delete Dravid, and his wife’s from the voter list as the former Indian cricket captain changed his house. Dravid had moved from Indiranagar to Ashwathnagar in RMV Extension. According to reports, during the EC’s special drive, a booth-level officer visited Dravid’s Indiranagar residence and conducted ‘mahazhar’. After the deletion of names, Dravid did not submit Form 6 (for inclusion of names) to Mathikere sub-division office where the new house is located. Model Code of Conduct Comes Into Force Ahead of Lok Sabha Elections 2019: What is MCC or Aachar Sanhita? Why It's Needed & How is it Enforced? All You Need to Know. Mathikere sub-division assistant electoral returning officer Roopa told The Times of India that booth-level officers had visited Dravid’s new house, but were not allowed to inside. The officers were informed that the former Indian cricket captain was touring abroad. While the first draft of voters list was published in January, the final roll was published on March 16. According to reports, Dravid came to know about the incident only after March 16 and then contacted the officials concerned. Domlur sub-division assistant electoral returning officer Basawaraju Magi told TOI "I have told him if he still wants his name to be included in Shantinagar list, he needs to submit Form 6, which can be done once the EC allows it after April 23.” The former India cricket captain had voted regularly in the past and was made Karnataka election commission’s icon and ambassador as he was politically neutral.